BASSETERRE, St. Kitts, May 17, 2018 (Press Unit in the Office of the Prime Minister) – The Prime Minister of St. Kitts and Nevis, Dr. the Honourable Timothy Harris, has impressed upon his fellow Heads of Government of jurisdictions that offer Citizenship by Investment (CBI) programmes, as well as other key players within the industry the urgent need to raise the standards of the region’s citizenship programmes, with greater emphasis on harmonization. 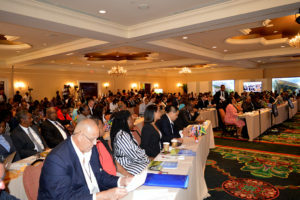 The May 16-19 summit is being attended by more than three hundred stakeholders including leaders of the five Caribbean countries that offer economic citizenship: namely, Antigua and Barbuda, Commonwealth of Dominica, Saint Lucia, Grenada and host St. Kitts and Nevis; Heads of Citizenship by Investment Units, developers, service providers, international marketing agents and potential investors. A wide-cross section of the business community in St. Kitts and Nevis also turned out for the event. 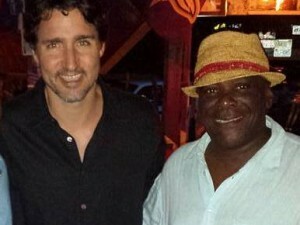 After accepting the baton from Antigua and Barbuda’s Prime Minister, the Honourable Gaston Browne, Prime Minister Harris stated that CBI programmes within the region must be sustained, and as such noted that governments must work with all stakeholders to improve and lead the world in this unique development pathway. Over the next two days, summit participants will be engaged in productive discussions on the need to embrace new technology for better CIPs; responsible conduct for service providers; governance and politics; ethical frameworks in global marketing; key approaches to sustainable development and collaboration for a common cause.